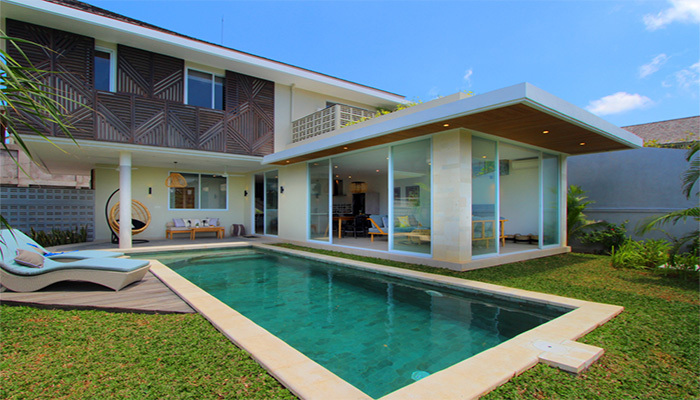 Two gorgeous and chic villas for sale in Umalas, only 10 minutes away from Seminyak and 5 minutes to Canggu. The entrance of the properties is surrounded by the rice paddy field that brings you to the rural scenery of Bali. The first house with 450 m2 of land is for sale at 299 000 USD, while another one with 500 m2 is at 329 000 USD. 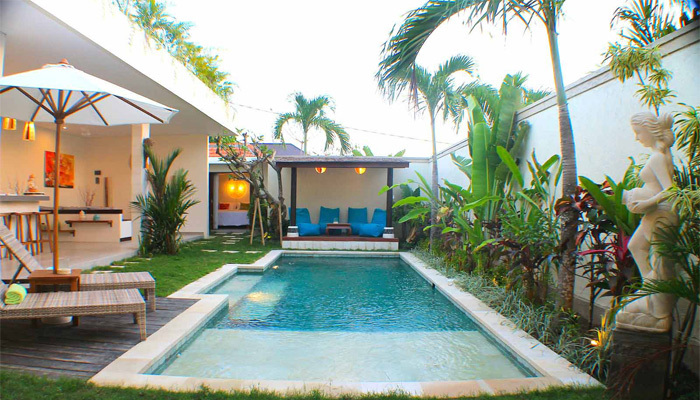 Designed, decorated and beautifully furnished with high quality products, these villas are also equipped with relaxing pools and jacuzzi, bordered by the tropical garden. All the spacious bedrooms own en suite bathroom. Bring yourself into the gorgeous style, for this villa has its special charm that can take your breath away.